Take a look at our range of lessons and activities for primary school students. Using ‘The Very Hungry Caterpillar’ as our starting point, this workshop includes a fun look at life cycles, making our own beanie baby, hunting for bugs, and building stick towers in our woodland nature trail. Our popular literacy-based workshop explores the famous Sleeping Beauty paintings by Leon Bakst. Children will discover the story of Sleeping Beauty through a role play workshop in our turret room using the paintings as stimuli, as well as exploring the grounds and the Aviary. In the afternoon there is a creative writing session, based on the morning’s activities. Dressing up is strongly encouraged! The best school trip for Reception children I have been on. Teacher, High Ash Primary, 2015. Based on the myth of Heracles and his 12 labours, pupils will explore the stories of Ancient Greek mythology by looking at our priceless collection of art. 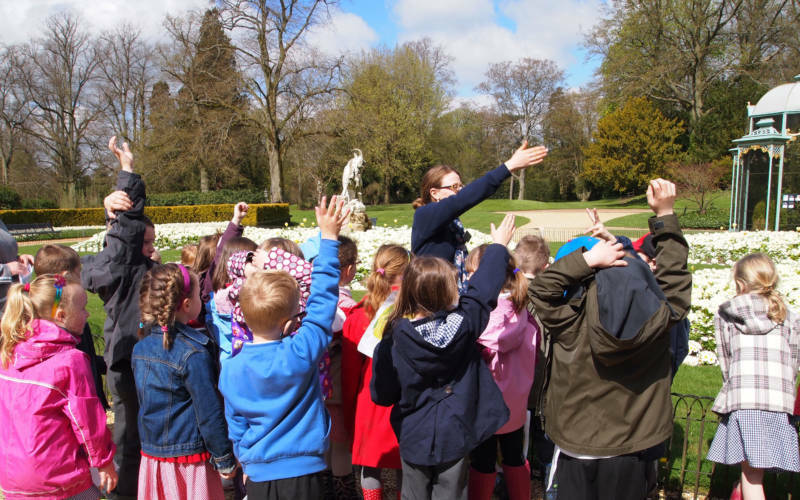 Your pupils will also be able to investigate neoclassical sculpture in the gardens. In the afternoon, discover the world of Greek art. Pupils will follow in the footsteps of children evacuated to Waddesdon during WWII. Learn how the rooms were used by the evacuees as you tour the house, before exploring the Aviary. In the afternoon discover more about the lives of evacuees by taking part in a range of activities. Spend the day learning more about maps and navigation, with pupils competing in teams around our special orienteering course. There will also be a chance to the create their maps for their peers to follow – who will win? Pupils will have a tour of the house, focusing on the hierarchy of Victorian Waddesdon – who did what and how did they do it? 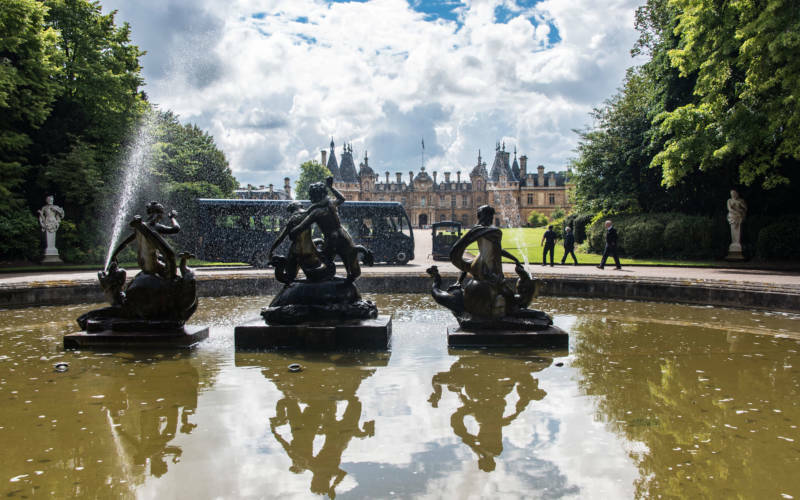 This workshop gives your pupils a chance to learn more about their local area and the history of the Rothschilds at Waddesdon. Following our trail around the house, pupils will look at the magnificent jewels in the Rothschild collection as well as discussing the importance of rocks and minerals in everyday life. 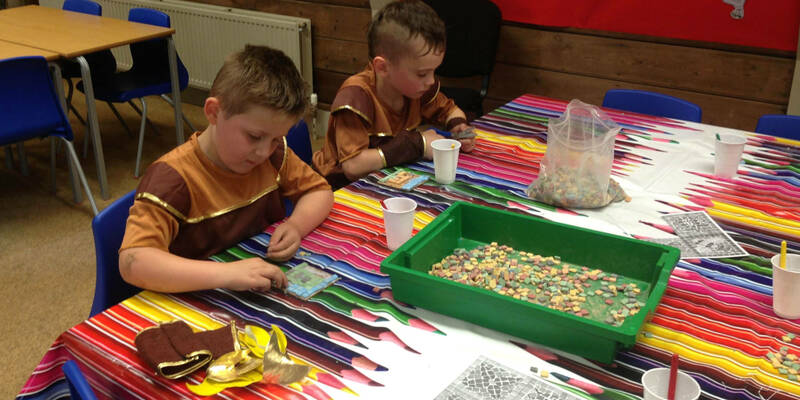 In the afternoon, there will be the chance to compare different rocks and look at their properties, as well as creating their own jewelled piece. Based entirely outside in our gardens, pupils will look at the life cycle of trees from seed to maturity, as well as completing fun maths-based activities. 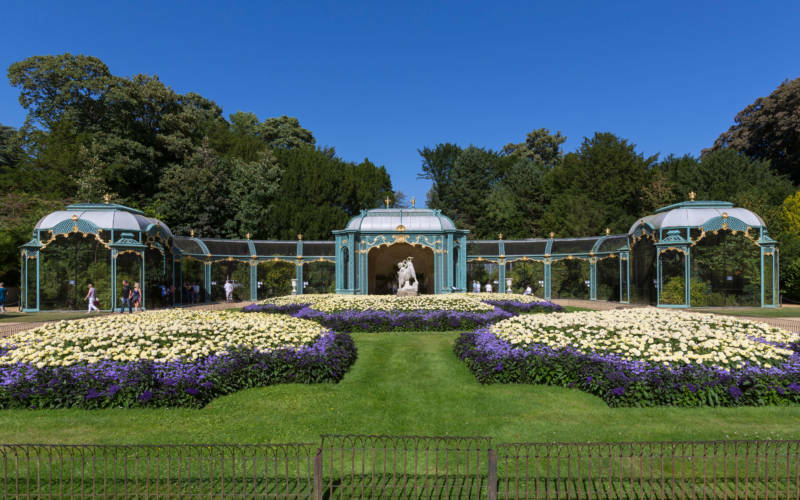 There’s also a chance to explore the trees at Longwood Gardens, our partner in Pennsylvania, using a special video link. 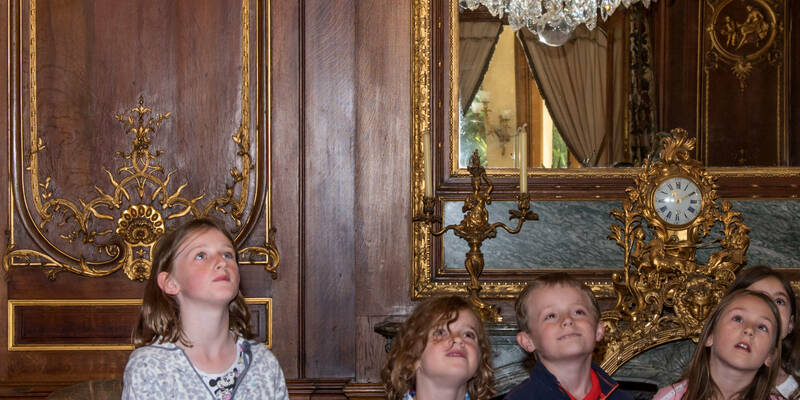 Don’t forget that National Trust Education Group Membership entitles you to free entry to Waddesdon on a self-led visit. There are no minimum or maximum numbers, and you can bring as many helpers as you like- all for free! We have formal gardens, woodland walks and a very exciting adventure playground, so all you need is the picnic. 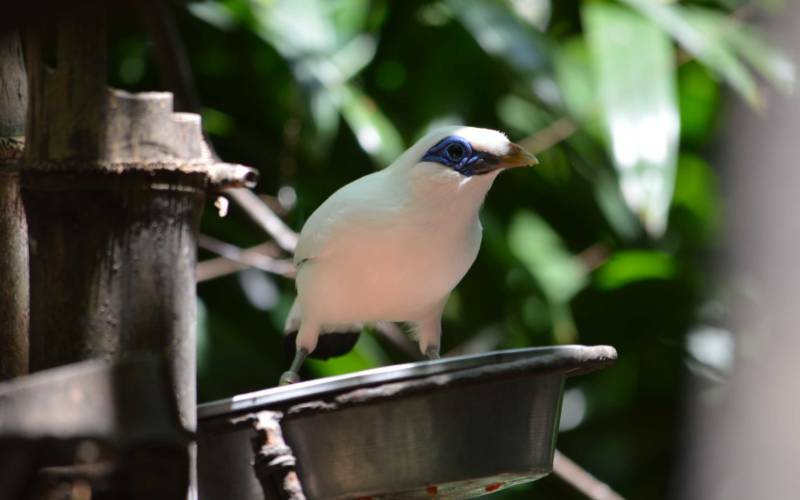 Join us for an engaging outreach session led by our Education team in support of Silent Forest, a charity working to highlight the devastating effects of deforestation and poaching on critically endangered songbirds such as the Rothschild’s Mynah. Pupils will discover more about the critically endangered songbirds living in the Waddesdon Aviary and become a part of an exciting campaign to save South East Asian songbirds. Bring your school to learn about these rare songbirds, with an exclusive tour of the Aviary and the opportunity to take part in an engaging and educational workshop on the birds you have seen and their conservation. By bringing your school, you will assist both Waddesdon and Silent Forest in our campaign to preserve these beautiful songbirds for future generations.